Built Environment Volume 32, Number 3. In this edition, Nicholas Falk brings together contributions from 12 experts on the future of our suburbs, and possible ways forward, drawing on a number of major research projects, and experience in the USA and Harlow. Articles range from the potential for remaking the inner suburbs, mobility and sustainability, to lessons from recent Dutch experience in building new suburbs, and new policies in the South East. An article drawing lessons from new suburbs in California suggests that proposals for the New Town of Northstowe in Cambridge may not live up to its promise. In the final article on Smarter Growth and Sustainable Suburbs Nicholas Falk draws out conclusions from a range of work URBED (Urban and Economic Development) Ltd has been doing in London, the South East, and the Cambridge Growth Area. He proposes new models for sustainable renaissance drawing on Continental experience and the use of a charter for smarter growth, based on the five Cs of choice, connectivity, character, conservation and community. 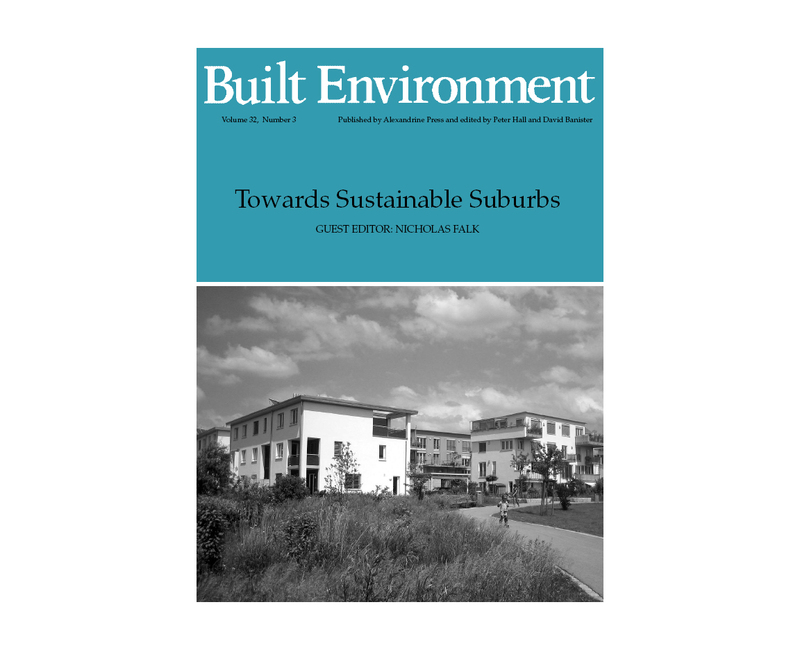 Details of this edition of Built Environment, and all the previous editions, can be found through the Alexandrine Press website.